one that inspires me everyday.... and seeing one of MY parties! 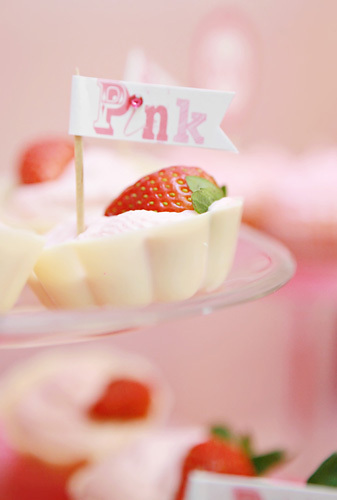 I am super excited to share that Alyssa's PINK Party was featured on Kara's Party Ideas! This is a blog full of REAL parites, hostessed by lots of talented party planners. I am honored to fall under that category today! I guess this gives me another reason to LOVE Pink! oooh! this is you!!! i loved this party!! Happy 2nd Birthday sweet Griffin! Tree stump and Toadstool cake pops.